Quail West’s golf program also features a full-service, state-of-the-art practice facility with expert teaching staff. The private Grand Clubhouse serves as a home base for golfers and residents, with lavish men and women’s locker rooms, pro shops, three dining venues, indoor pool, fitness center, spa and salon. And at the end of the Preserve course is the 19th Hole Sunset Bar, where golfers relax after a round while taking in views of the 18th green. One of Southwest Florida’s most exclusive golf clubs, Quail West’s courses, facilities and services are shared by only six hundred members. This links-styled course flawlessly interweaves Quail West’s vast system of lakes, marshes and waterways into a player-friendly masterpiece. Welcoming members-only over 7,041 yards of golf on a par-72 course, the expansive water features throughout offer not one, but 18, signature holes. 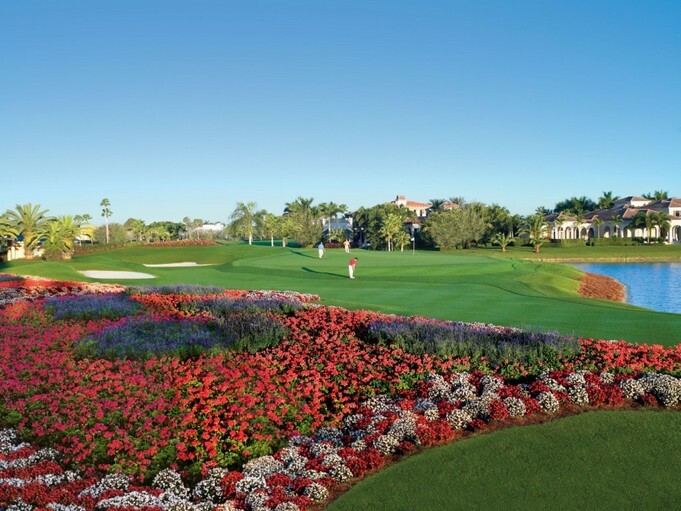 For Quail West residents, winding up on the challenging closing hole makes each day of golf as good as the first.